Car insurance is seen by many as a necessary evil, required either by the State of New York or finance company. Still, in case of a car crash, theft, vandalism, or “vis major,” insurance can pay the damages, a relief for the owner. 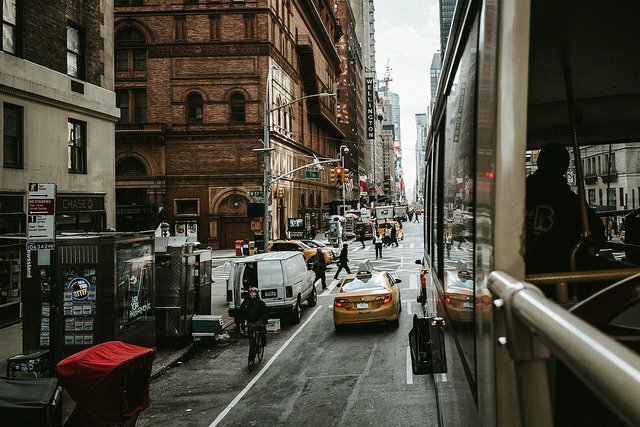 Taking mandatory or voluntary car insurance as a given, there are still ways New York drivers can save on auto insurance premiums without resorting to less-comprehensive insurance. New York drivers can save money on auto insurance by driving responsibly. Drive defensively, obey the speed limit and traffic signals, and never drive distracted, drowsy, or under the influence. Safe and responsible drivers are less likely to be involved in a car crash, get a traffic ticket, or spend time in jail. Most insurance companies reward them with reduced insurance premiums. If the insurance provider offers the program, safe drivers may save money on premiums with a good driving record. New York drivers can save money on car insurance by considering what vehicle they drive. Certain vehicles demand higher insurance premiums for a couple of reasons. Traditionally, mainstream sedans and compact utility vehicles are less expensive to insure, while luxury cars and sports cars are more expensive to insure. In a crash, luxury cars and sports cars are notoriously expensive to repair. Some vehicles are stolen more often and expensive to replace. High-powered sports cars tend to encourage aggressive driving, increasing the risk of a crash, and big SUVs tend to cause more damage. Changing to a less-powerful or less-expensive model could result in lower insurance premiums. Lastly, drivers who have participated in a defensive driving course within the last three years are eligible for a guaranteed 10% discount on their auto liability insurance. For most New York drivers, signing up for a insurance course typically means enrolling at a local college and taking time out of a busy schedule to attend classes over a series of weeks. However, the New York insurance course makes it possible for companies like IDriveSafely.com to take the hassle out of getting your guaranteed 10% off liability discount. Its New York insurance course is conveniently offered online. Instead of a classroom, all that’s needed is a computer with internet access. Instead of adhering to a schedule, drivers can complete the course on their own time and at their own pace – as long as it’s within 30 days from signing up for the course. Qualifying individuals may enroll in the IDriveSafely.com New York insurance course. Once finished, a certificate of completion will arrive in the mail, which you can send to your insurance provider for an automatic 10% reduction in liability insurance. New York drivers: saying “I Drive Safely” and saving 10% on insurance couldn’t be more convenient.